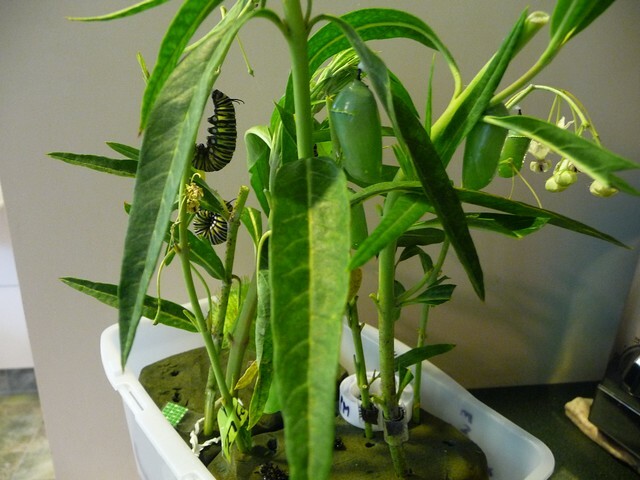 The second stage of the process is the chrysalis stage. It starts by the little critter attaching to a stork or leaf and curling up. In a couple of days it then splits out of its skin and a chrysalis case is already around it. It is initially slightly elongated but soon compacts to the shape it will remain. "Butterflies' to your right, there are other years you can follow, with photos and even videos.